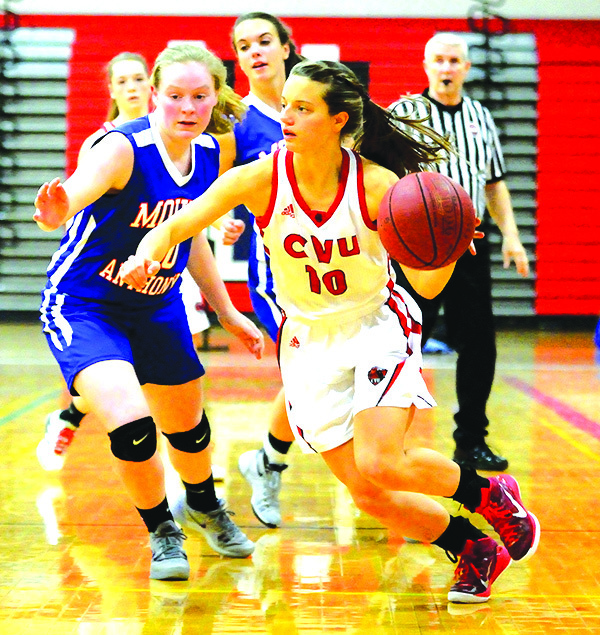 On Tuesday, CVU’s unstoppable forward Laurel Jaunich hit a basketball milestone—her 1,000th point. The four-year varsity starter racked up 11 points total and helped lead her team to a 63-28 defeat of Essex High and bump the Redhawks’ record to 13-0. 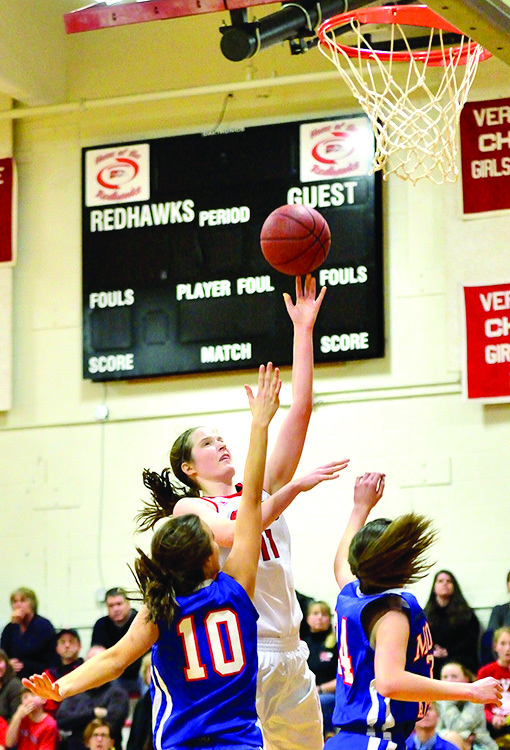 Meanwhile, her teammate Sadie Otley scored 26 points. 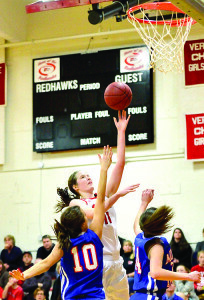 Last Friday, the Redhawks beat Mount Anthony at home 59-49. FROM LEFT: Otley goes up for a layup during Friday’s game; Jaunich clears two defenders for another basket; Laura Durkee keeps control of the ball. The CVU girls basketball team will head to South Burlington Friday, then up to BFA St. Albans Monday.